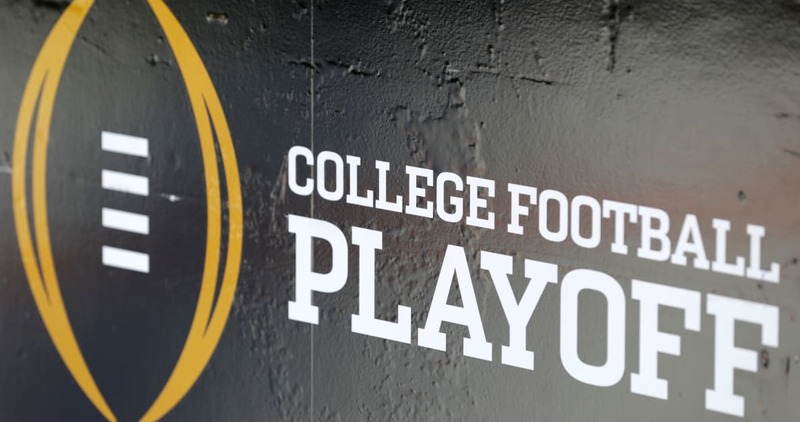 The 2018 College Football Playoff starts with the semifinals on Monday, January 1. Find scores and also updates for the Oklahoma-Georgia and Clemson-Alabama games below. The winners advance to play in the national title game next Monday. Some mobile users click here. No. 2 Oklahoma and No. 3 Georgia play at 5 p.m. ET on ESPN. No. 1 Clemson-No. 4 Alabama are next at 8:45 p.m. on ESPN. Oklahoma and Georgia are playing in the Rose Bowl. Clemson and Alabama are meeting in the Sugar Bowl. Alabama and Clemson meet in the College Football Playoffs for the third season in a row. Though the first two meetings were for the national title, this time it’s in the semifinals. Clemson is 12-1, is the ACC champion and the No. 1 team in the four-team College Football Playoff. The Tigers average 35.4 points per game and allow 12.8 points per game. QB Kelly Bryant is 244-for-362 passing for 2,678 yards, 13 touchdowns and 6 interceptions. Bryant also has 646 rushing yards and 11 touchdowns. On the ground, Travis Etienne leads Clemson with 103 carries for 744 yards and 13 scores. Tavien Feaster is second with 103 carries for 659 yards and 7 touchdowns. Three Clemson players have at least 500 receiving yards. Hunter Renfrow, who caught the winning touchdown against Alabama last year, leads with 55 catches for 571 yards and 3 scores. Deon Cain is No. 1 with 659 receiving yards and six touchdowns. Defensively, Dorian O’Daniel ranks first with 99 total tackles, 10.5 tackles for loss and 5 sacks. Kendall Joseph is No. 2 with 80 total tackles. The Tigers also have a combined 16 sacks from Clelin Ferrell and Austin Bryant. Alabama is 11-1 and the No. 4 team in the CFP. The Crimson Tide average 39.1 points per game and surrender 11.5 points per game. QB Jalen Hurts is 135-for-223 passing for 1,940 yards, 15 touchdowns and only 1 interception. Hurts adds 768 rushing yards and 8 touchdowns. Damien Harris leads the rushing attack with 906 rushing yards and 11 touchdowns on only 110 attempts. Bo Scarbrough has 549 rushing yards and 8 scores. Calvin Ridley is the top receiving target by a huge margin. Riley has 55 receptions for 896 yards and 3 touchdowns. No other Alabama player has more than 14 catches or 244 receiving yards. Georgia is 12-1 going into the College Football Playoff. The Bulldogs average 34.9 points per game while allowing 13.2 points per game. Freshman QB Jake Fromm is 145-for-230 passing for 2,173 yards, 21 touchdowns and 5 interceptions. Georgia leans on a powerful rushing attack. Nick Chubb is first with 1,175 rushing yards and 13 touchdowns. Sony Michel also has 13 scores while picking up 948 yards on the ground. D’Andre Swift is third with 597 rushing yards. Javon Wims is the top target in the passing attack, as he has 38 catches for 631 yards and 6 scores. Terry Godwin is No. 2 with 540 receiving yards and 6 touchdowns. Georgia has been dominant on defense for almost the entire season. Roquan Smith is one of the best players in the country. He has 113 total tackles, 10.5 tackles for loss and 5.5 sacks. Oklahoma’s offense will be a huge test for the Bulldogs defense, especially with Heisman winning QB Baker Mayfield. The Sooners average 44.9 points per game and give up 25 points per game. Mayfield is the star. The senior is 262-for-369 passing for 4,340 yards, 41 touchdowns and 5 interceptions. He also has 310 rushing yards and 5 touchdowns. Rodney Anderson is the Sooners’ leading rusher with 960 yards and 11 touchdowns on 162 carries. Trey Sermon is second with 710 rushing yards and 5 touchdowns. Abdul Adams adds 542 rushing yards and a touchdown. Three Sooners have at least 740 receiving yards. Both Mark Andrews and Marquise Brown top 900 yards. Andrews is first on the team with 58 catches for 906 yards and 8 touchdowns. Brown leads Oklahoma with 981 yards and has seven receiving scores. CeeDee Lamb is third with 741 yards. On defense, Emmanuel Beal has a team-best 89 total tackles to go with 6 tackles for loss. Ogbonnia Okoronkwo has 17.5 tackles for loss and 8 sacks and is second in total tackles with 71. Oklahoma is the No. 2 team in the final College Football Playoff rankings. Georgia is No. 3. The winner advances to face the Clemson-Alabama winner in the National Championship Game. Georgia has played in the Rose Bowl once before. The 1942 team beat UCLA, 9-0, in the 1943 Rose Bowl. Oklahoma also has only one prior Rose Bowl appearance. The 2002 Sooners team defeated Washington State 34-13 in the 2003 Rose Bowl. This is the first time Georgia and Oklahoma are meeting. Georgia moved into a Top 4 spot thanks to a 28-7 win against then-No. 2 Auburn in the SEC Championship Game. Oklahoma was No. 3 when it routed TCU, 41-17, to win the Big 12 Championship Game.